Dale Scott, The Future of Magic #1 Choice for Global Corporate & Special Events Entertainment, Orlando Florida based Magicians & Illusionist Shows. #1 CHOICE FOR GLOBAL CORPORATE & SPECIAL EVENT ENTERTAINMENT! NOW WITH FREE Lighting, Sound and Special FX package INCLUDED!!! Much more than just a professional magician, illusionist, motivational speaker or headliner comedian, The Future of Magic®, based in Orlando Florida, presents the #1 Corporate and Special Event illusion production in America. As Producers, Dale Scott and his team brilliantly blend large-scale Grand Illusion, White Bengal Tigers and Exotic Cats, Spectacular Costumes, Lasers, Confetti and Kabuki Streamer Cannons, Special FX Lighting, Indoor Pyrotechnics, European Cirque Acts, Comedy Magic and Beautiful Dancers… for one mission: To create an event that will leave a lasting impression on your audience. Their full turn-key productions, make it easy on Meeting Planners, Event Producers, Destination Management Companies and can be custom tailored to fit your event theme. From just one powerful Cirque Style Illusion or Executive Reveal, for a Special Event or Corporate Meeting Opener, to A FULL Turn Key Production with 8 shows to choose from, you’re sure to find an entertainment solution to match your needs and budget. 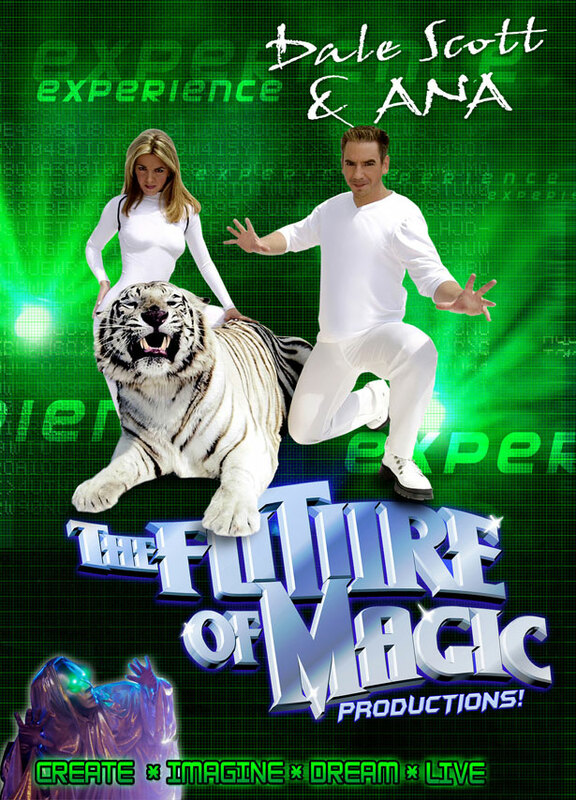 Here you will discover why Event Producers, DMC’s and FORTUNE 500 COMPANIES rely on The Future of Magic® Productions when it’s time to WOW their audience! GEORGIA NATIONAL FAIR “YOU PRESENTED A FIRST CLASS, ENERGETIC AND INNOVATIVE SHOW THAT WAS VERY WELL RECIEVED!” THE FUTURE OF MAGIC !